"The staff was amazing from the valet to the lobby to the man..."
Have a question for Trump International Hotel Las Vegas? 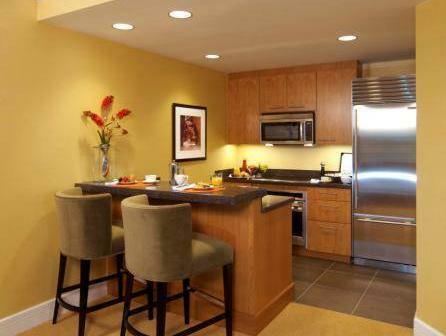 "Off strip but excellent, quiet, location across the road from Fashion show mall." 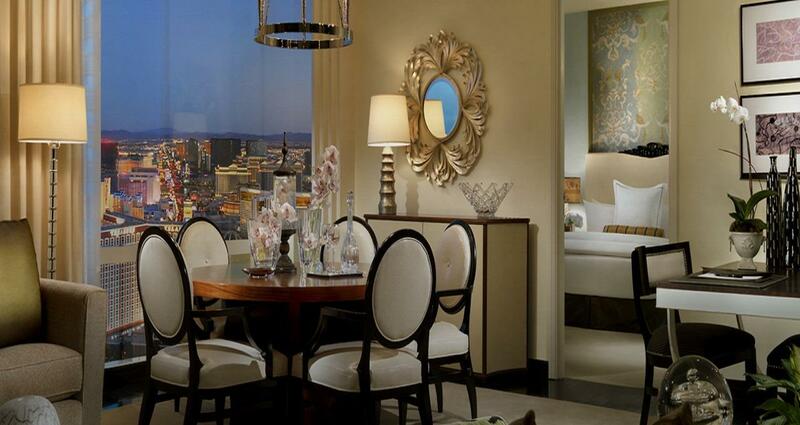 "The room is very spacious to accommodate a family of 4, kids..."
Trump International Hotel Las Vegas features all the finest amenities in each of the 1,282 rooms in this popular 5-star hotel. Guests will find air conditioning, bathrobes, a daily newspaper, in-house movies, a desk, and a hair dryer waiting in each room. 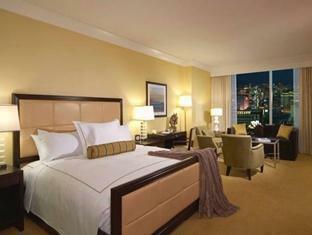 Other features at the hotel include 24-hour room service, shops, an executive floor, and a bar/pub. Facilities for recreation and leisure include massage treatments, a jetted tub, gym and fitness facilities, a sauna, spa, and outdoor pool. 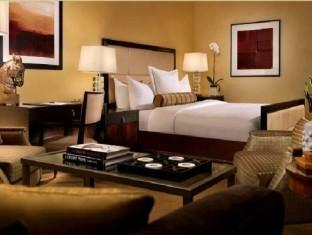 This service-oriented hotel with superb facilities and amenities provides excellent value. When you're ready to book a room at Trump International Hotel Las Vegas, please enter your travel dates into the secure online booking form and click. "Very nice hotel, very tastefully presented, helpful staff an..."
- To and from Wynn Casino: 08:00 AM - 12:00 AM (Sunday-Thursday) and 08:00 AM - 02:00 AM (Friday-Saturday). - To and from The Forum Shops at Caesars Palace: 08:00 AM - 12:00 AM daily. A resort fee will be collected upon check-in. My partner and I stayed at the trump for 5 nights - we were so very impressed by every aspect of the trump. Immaculate from floor to ceiling, professional and kind staff and fantastic location. Highly recommend. Definitely worth the stay! Valet parking, secure and first class in every sense of the word. Fashion Show Mall right across the street from the hotel with anything you could want in shopping. 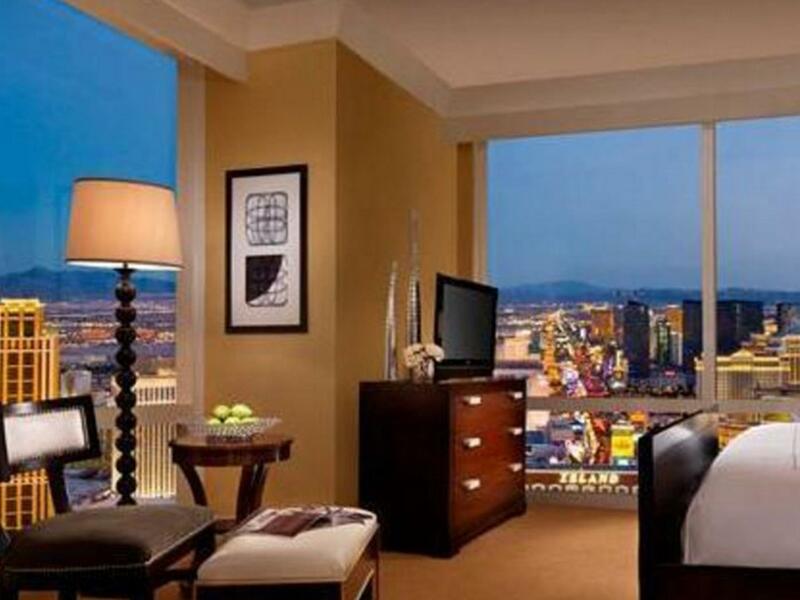 Beautiful rooms and view. Did not disappoint. Motel motto is “It’s simple - Just do it better than everyone else”. Would definitely return again! Close enough to strip for convenience. Valet parking included. Nice, free shuttle to central strip was very good. Pleasant staff and nice room. the price is very attractive, and the location is easy to find and also easy to walk to Wynn etc., the rooms are all clean and with massage bath tube and high quality cosmetic gadgets, the staff sesrvice is excellent. Got there at 10:30at night , we were standing in line for a longer than usual time at reception. Come to find out that they not only overbook our room but those in front of us and all those behind us . The staff was great dealing with the situation, but they should of never of been put there. !they gave us 1 drink ticket each to use in there bar / restaurant area until they could find availability . We were not allowed to sit at the table area to order food because it was after 11:00 so we had to find one of the side couches to do so . Most of them were filled because of the amount of people also waiting for there rooms .Food was limited and poor for the dollar valve . Finally got our rooms which they upgraded , they were spacious and lovely , but just a little to late ! Security outstanding. Staff great service. Room was magnificent. The room is very spacious to accommodate a family of 4, kids 12 and 14 respectively. Location is good, you can link to LV strip thru the fashion show mall, entrance to Nordstrom just opposite the hotel. Free shuttle service to Wynn and Caesar Palace, hopefully they can add more places like premium outlet or another pick up point from the strip. Free valet parking, smoke free hotel. A great hotel to stay in while in Las Vegas if you don't want the cigarette smell and craziness of a casino. Staff were so friendly and professional. Complimentary valet parking, and a free shuttle to Wynn and the shops at Caesar's Palace. 2 minutes away frm big mall, they provide shuttle to other landmark area too. They dont offer general breakfast so abit difficult to find breakfast for my kid. Best spot to enjoy fireworks during new year. Highly recommend this hotel. It's a brilliant price for what you get. They offer a free shuttle to Caesar's and Wynn's every 20 mins which was great. It's actually not that far. We ended up walking back one day from the strip and it was quite a nice walk. Loved the fact that there were no machines or smoking in the hotel. The hotel is great especially for families with young children because there's no smell of cigarettes when entering the hotel. The room was top class, but a bit pricey. The staff weren't very friendly, though - many of them were a little rude and it took forever for them to respond to a front desk request. Great hotel, 2nd stay here and its ideal. Away from casinos but free hotel shuttle drops you off at Ceasars palace and the Wynn with pick ups roughly every 20 mins. View of strip was impressive from 54th floor. One negative was after showering one of the fresh towels I started using had dirty brown spots on it. Not a nice feeling discovering that. Otherwise another great stay. We treated ourselves to a stay here in Nov 2018. 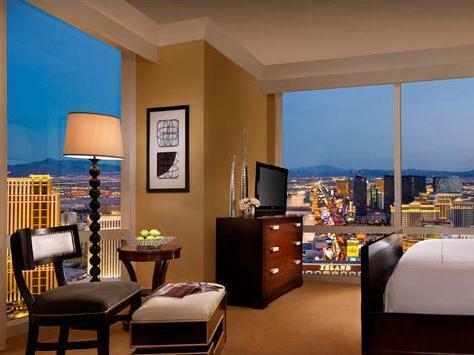 Classy hotel to spend a few days in Las Vegas. Staff were very efficient and customer focused. As it is located away from the North end of the Strip there is a Trump shuttle service to Wynn Hotel which is located on the North End of the Strip. If you wish to walk that distance and want to avoid the sun or heat we found it useful to cross the road to Nordstrom and walk through the Fashion Mall to the North end of the Strip. There are some nice shops and restaurants at the Mall. There is a Trump shuttle running every 20 minutes to Ceasar's Palace. Wish there was a drop off point to the South End of the Strip too where MGM is located. It is a very quiet location as most of the action is on the middle of the Strip next to Ceasar's Palace, Bellagio fountains etc. Trump Hotel,is great. Location,service,pool,just off the strip,mall for buying incidentals just across the road. The restaurant is first class,free shuttle to Caesars Palace and Wynn. The main reason that this hotel is so good is the staff,they are incredible.Everyone of them in all departments. Just be aware that when booking online thru sites such as Agoda that the hotel will still collect a resort fee $35 per night plus tax,this is hidden away in fine print so double check even though your reservation will say that it is paid in full. The staff was amazing from the valet to the lobby to the management. I arrived during s time that POTUS was there and the staff remained calm, friendly and attentive with all the extra security. I was very impressed by the team at Trump International and it will be my first choice when I return to Las Vegas every time.